Northside Workshop (NSW) is a non-profit art space dedicated to addressing cultural and community issues in North Saint Louis. Our programming focuses on incorporating socially engaged art and education with the goal of fostering social progress in North Saint Louis communities. 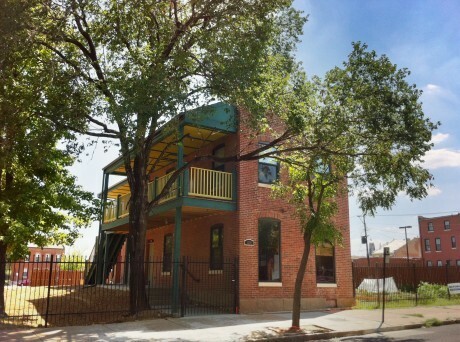 In 2010, a collaboration with the Old North Saint Louis Restoration Group, the Kranzberg Arts Foundation and artist/cultural activist Juan William Chavez began an intervention to regenerate a historic North Saint Louis brick building in danger of being destroyed. Two years in the making, this building is now transformed into a dynamic community art space.